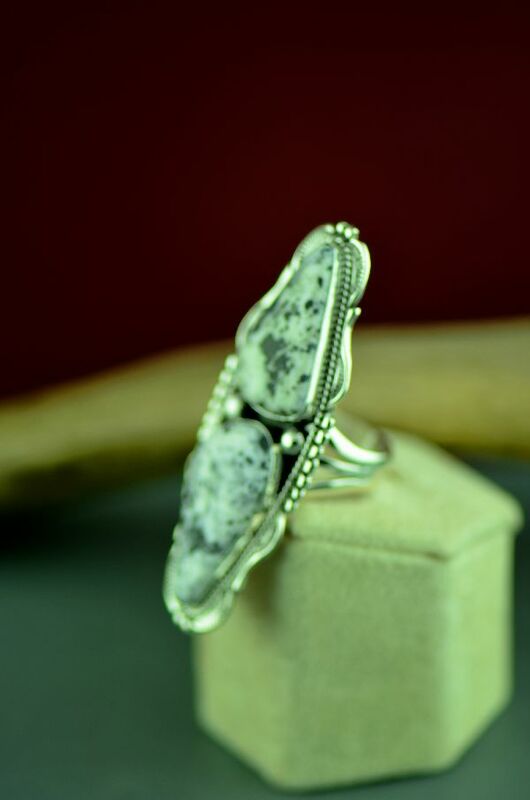 This wonderful sterling silver White Buffalo Stone ring is handcrafted by Will Denetdale, Navajo. 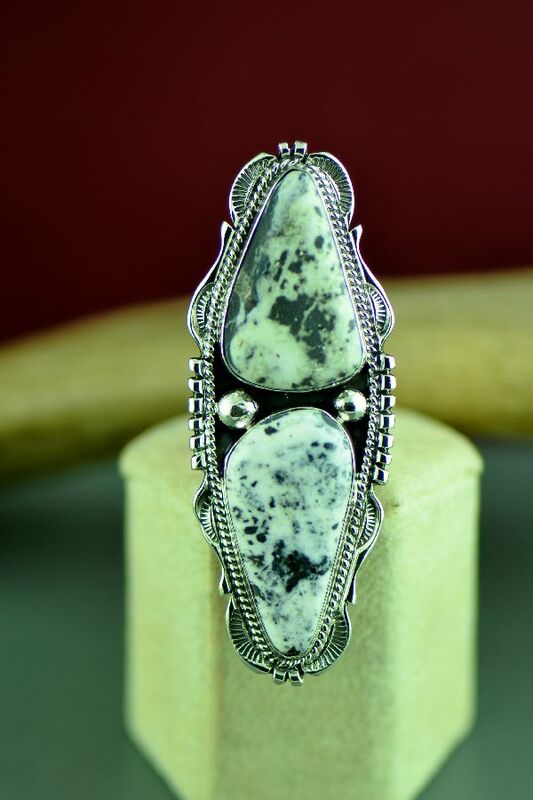 The artist has selected two wonderful White Buffalo stones to create this piece of art. 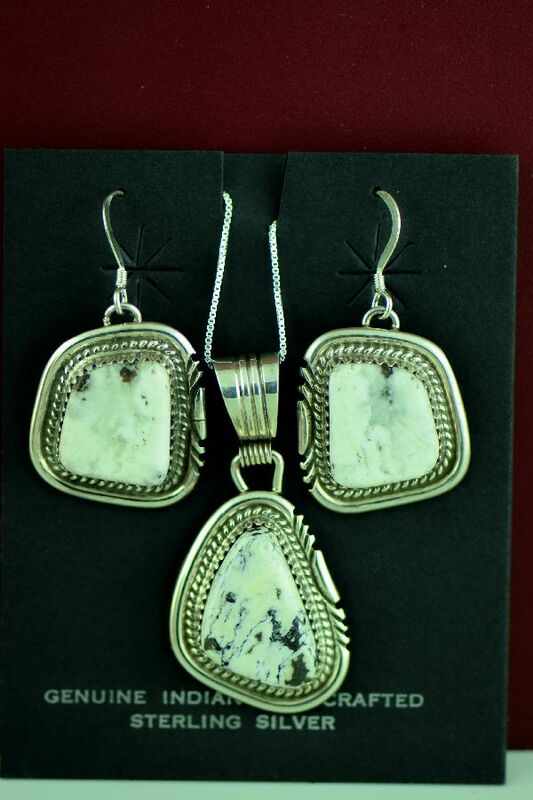 The White Buffalo stones measure 1-1/4” tall by 3/4” wide and 1” tall by 7/8” wide. 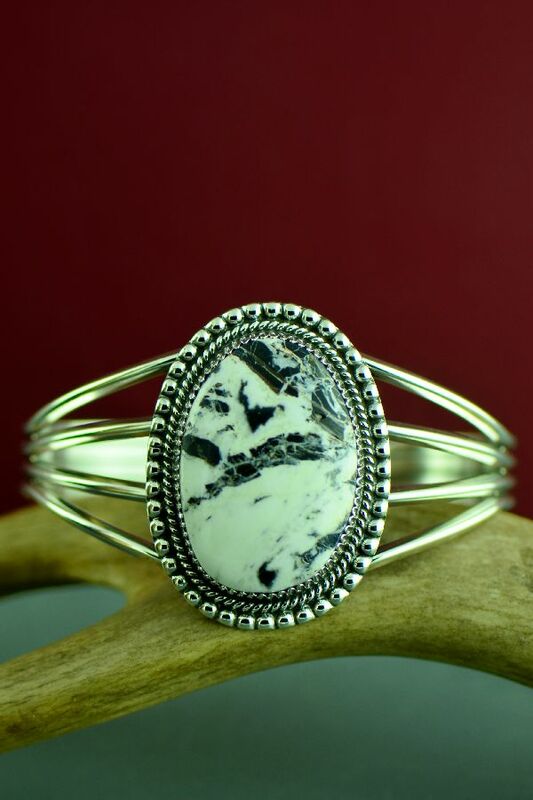 It is set in a smooth bezel surrounded by the distinctive style of silver work that Will is known for. 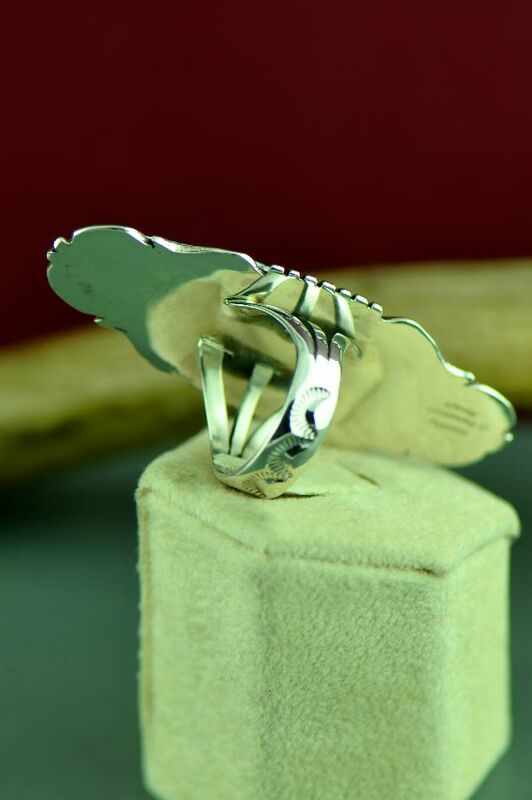 The top of the ring measures 2-1/2” tall by 1” wide. This is a size 9. This ring can be sized for an additional cost. Signed by the artist.